The 2018 WPIAL playoff field is set. Yesterday, the brackets were unveiled. Later in the week we will be previewing all 30 of the first round games which will take place on Friday Night beginning at 7:30pm. For now, here is a quick look at the teams that reached the 2018 postseason in Classes 6A, 5A, and 4A and their notable playoff history. A separate post with the Playoff Primer on Classes 3A, 2A, and 1A is here. For reference, there were only 3 classifications of WPIAL football prior to 1980 and the PIAA Championship was not instituted until 1988. Classifications in the 6-classification model that started in 2016 are labeled with numbers (i.e. “4A”) while prior to 2016 they are labeled with just letters (i.e. “AAAA”). How they got here: North Allegheny completed a perfect regular season with a Week 9 victory over rivals Pine-Richland to clinch the Conference Title. 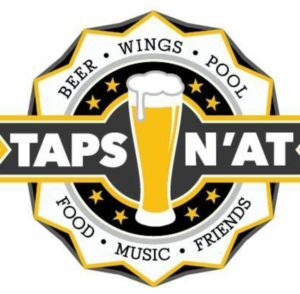 Recent History: North Allegheny is making their 15th consecutive playoff appearance. They have not lost in the first round of the playoffs since 2005. Best Playoff Result: Won WPIAL Championship in 1990, 2010, 2011 and 2012. Won PIAA title in 1990, 2010 and 2012. How they got here: Pine-Richland’s strong offensive line was able to plow the road for their rushing attack all season. Their only loss to a WPIAL opponent came in Week 9 against North Allegheny. 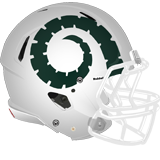 Recent History: Pine-Richland is the defending WPIAL and PIAA Champions and is making their 6th consecutive playoff appearance. The Rams also won the WPIAL title in 2014. With the first round bye getting them to the semi-finals, this will be the 5th straight year Pine-Richland has made it to at least the WPIAL semis. Best Playoff Result: Won WPIAL and PIAA Championships last year. Also won the WPIAL Championship in 2003 (AAA) and 2014 (AAAA). Richland High School won the WPIAL title in 1969 and 1970. 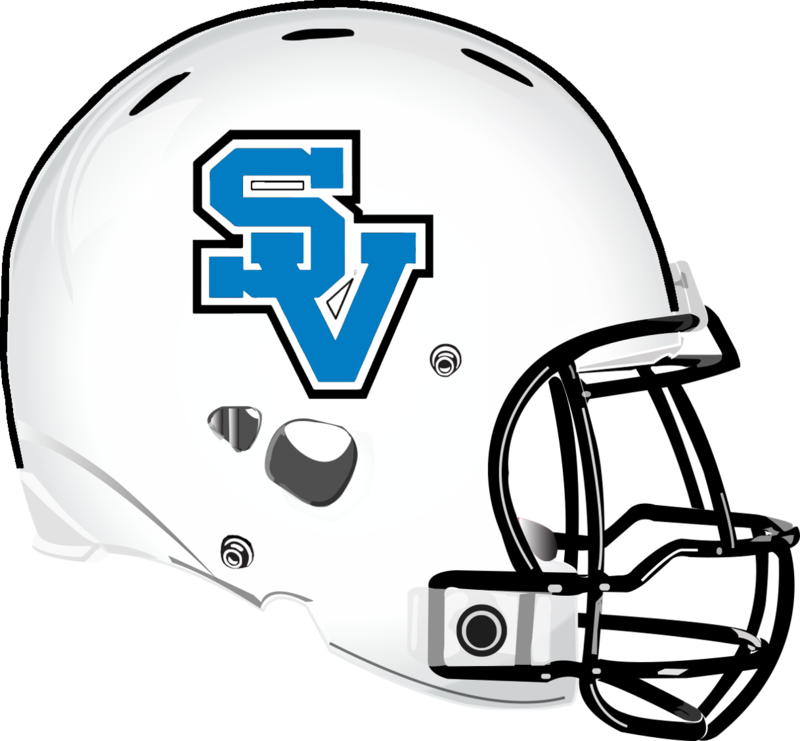 How they got here: The Blue Devils lost a tight game to Seneca Valley in Week 3 which started a rough streak of losing 4 out of 5 games. They bounced back to clinch a playoff spot by beating Norwin in Week 8 then upset Central Catholic in Week 9. 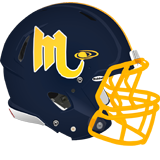 Recent History: Mt Lebanon is making their 17th playoff appearance in the last 20 years. They have not reached the semi-finals since 2005. Best Playoff Result: Won WPIAL Championship in 1966 (AAA), 1970 (AAA), 1980, 1981, 1983, 1984, and 2000. Lost to Erie Prep in the PIAA semifinals in 2000. How they got here: Central had a down year by their standards, and their Week 9 loss to Mt. Lebanon marked the first time since 1999 the Vikings lost 3 regular season games in one year. Their 6-point win over Seneca Valley in Week 1 was enough to give them a home playoff game. Recent History: Central Catholic is making their 16th consecutive playoff appearance. 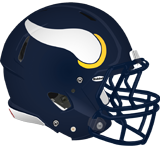 The Vikings have reached Heinz Field each of the last 5 seasons, have won 3 of the last 5 WPIAL titles. Best Playoff Result: Won WPIAL Championship in 2003, 2004, 2007, 2013, 2015, and 2016. Won PIAA title in 1988, 2004, 2007, and 2015. How they got here: The Raiders had the top defense in 6A this year, holding opponents to just 9 points per game. However, an 8-point win in Week 9 over Norwin dropped them behind Mt. Lebanon in Tiebreaker Points and an earlier loss to Central Catholic dropped them to 5th in the conference. 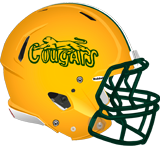 Recent History: Seneca Valley is making their 6th playoff appearance in the last 8 years. They missed the playoffs last year after reaching the WPIAL Championship in 2016. Best Playoff Result: Have reached the WPIAL Championship Game twice. In 1989 they lost to Aliquippa in the AAA Championship Game 17-9 and in 2016 they lost to Central Catholic in the inaugural 6A Championship Game 42-7. How they got here: After an 0-3 start to the season, the Big Macs won 4 of their last 6 games, including a 34-12 victory over Norwin in Week 7 that gave them the edge for the final playoff spot. RB Joshua O’Hare was 6A’s only 1000-yard rusher this season. Recent History: This is Canon-McMillan’s first playoff appearance since 2008. 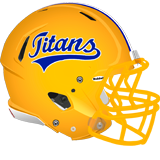 Best Playoff Result: Canon-McMillan’s lone playoff win came in 2004 when they beat Belle Vernon in the first round of the AAA playoffs. Canonsburg High School tied New Brighton in the 1950 Class A (which became AA) Championship Game. How they got here: After a 2-point loss in Week 1 to Upper St Clair, Peters Township would win their next 7 games against 5A opponents, including a 14-point win over West Allegheny and a 35-0 defeat of Bethel Park. 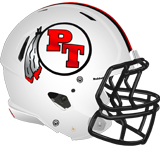 Recent History: Peters Twp is making their second consecutive playoff appearance after losing to Central Catholic in the first round of the 6A playoffs last year. Their last playoff win was in 2003 when they played in AAA. Best Playoff Result: Peters Township reached the AA semifinals in 1972 and 1976. How they got here: West Allegheny won a number of close games this season, including 1-point victories over Bethel Park and Woodland Hills. West Allegheny was 4-1 in one-score games. This is the last season for legendary coach Bob Palko at the helm, which means he will likely pull out all the stops to make a run at another WPIAL title. 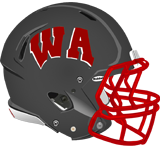 Recent History: West Allegheny is making their 10th consecutive playoff appearance and 21st in the last 22 years. Before losing in the quarterfinals last year, they had reached Heinz Field in 4 of the prior 5 years and won the inaugural 5A WPIAL title in 2016. Best Playoff Result: Coach Bob Palko has won more WPIAL titles than any other coach. West Allegheny won the WPIAL Championship in 1997, 1999, 2000, 2001, 2009, 2012, 2013, and 2016. Won the 2001 PIAA Championship 28-13 over Strath Haven (who had beaten them in the PIAA title game the prior two seasons). How they got here: Bethel Park moved down from 6A and flew a bit under the radar this year after an overtime loss to West Allegheny in Week 2. They rebounded from a 35-0 loss to Peters Twp in Week 8 to defeat Upper St Clair in Week 9 to earn a home playoff game. Recent History: Bethel Park is making their 18th consecutive playoff appearance. In that stretch they have only made it past the quarterfinals twice. Best Playoff Result: Won WPIAL Championship in 2008. Lost to Liberty in 2008 PIAA Championship Game in overtime. How they got here: The Panthers started the season on a high note as coach Jim Render got his 400th career victory. Upper St Clair played a number of close games this season, going 6-1 in one-score games. They were the only Allegheny Eight team to beat Peters Twp this season. 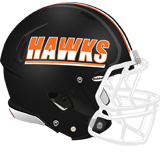 Recent History: Upper St Clair is making their 19th consecutive playoff appearance. The Panthers have lost in the first round each of the last three seasons. Best Playoff Result: Won WPIAL Championship in 1988, 1989, 1992, 1997, and 2006. Tied for the 1974 (AAA) and 1975 (AAA) WPIAL title (no overtime). Won the PIAA Championship in 1989 and 2006. How they got here: After a slow start to the season where they went 0-4, Woodland Hills got a big win over Baldwin in Week 4 which wound up the decisive game in the conference standings. The Wolverines closed strong with wins in 3 of their last 4 games, making them a potentially dangerous team on the bottom half of the bracket. They were not far off from being in contention as they lost to Upper St Clair by 2 points and West Allegheny by 1 point. 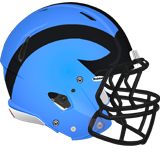 Recent History: Woodland Hills is making their 23rd consecutive playoff appearance. They reached the semi-finals in 6 of the last 9 years, making it to Heinz Field 4 times. The Wolverines have lost to the eventual WPIAL champions in each of the last three seasons. Best Playoff Result: Won WPIAL Championship in 1996, 1999, 2001, 2002, and 2009. Lost in PIAA Championship Game in 1996, 2001 and 2002. How they got here: The defending WPIAL Champions enter the playoffs as the top seed with the best offense (49.5 points per game) and best defense (4.3 points against per game) in 5A. The Gators breezed through their schedule winning all of their games by at least 20 points. Recent History: Gateway lost an epic semifinal to rival McKeesport in 2016, but since then have defeated the Tigers 3 straight times. Gateway got revenge in last year’s semifinals then defeated Penn-Trafford 21-16 in the WPIAL Championship to win their first title since 1986. 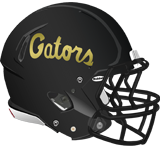 The Gators made it to the State Championship Game where they lost to Archbishop Wood. Best Playoff Result: Gateway is the defending 5A WPIAL Champions and also won the WPIAL AAA Championship in 1969, 1972, 1974, and 1986. Gateway tied North Hills 0-0 in the 1985 Championship Game before the WPIAL had overtime. Last year’s run to the State title game was their best result in the PIAA playoffs. How they got here: Penn-Trafford’s 0-2 start to the season is a distant memory as they won 8 straight after dropping their Week 1 showdown with Gateway. 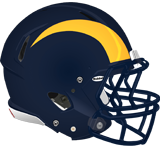 During that run Penn-Trafford only allowed one team (Franklin Regional in Week 9) to score more than 10 points against them. 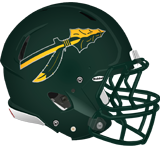 Recent History: This is the 15th playoff appearance in the last 16 years for Penn-Trafford. Have reached at least the semifinals in their four previous playoff trips and made it to the WPIAL Championship in their last two trips. Best Playoff Result: Reached the WPIAL Championship game in 1997, 2015, and 2017. Lost to Upper St Clair 28-27 in the 1997 Championship, lost to Central Catholic 24-17 in 2015, and lost to Gateway 21-16 last year. Trafford High School lost to Bridgeville in the 1949 Class B (which became single-A) Championship Game and Penn Joint lost to Albert Gallatin in the 1961 Class A (which became AA) Championship Game. How they got here: McKeesport’s triple-option offense ground through opponents this season to the tune of 41.8 points per game, the second-highest mark in 5A. Their only losses came against Penn-Trafford and Gateway. 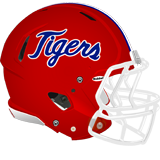 Recent History: McKeesport is making their 21st consecutive playoff appearance. They lost the WPIAL Championship Game in overtime to West Allegheny in 2016 and fell to Gateway in the semifinals last year. Best Playoff Result: Won WPIAL Championship in 1938 (AAA), 1994 and 2005. 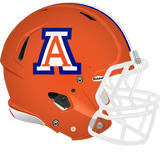 Won PIAA title in 1994 and 2005. How they got here: The Panthers cruised to a 5-0 start but lost 3 of their last 4 games. All 3 losses were by double-digits to the top teams in the conference. 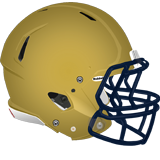 Recent History: Franklin Regional is making their 15th consecutive playoff appearance. They have reached the semifinals 3 times in the last 7 years. Best Playoff Result: Won WPIAL Championship in 2005, beating Thomas Jefferson 31-14. Won PIAA Championship in 2005, beating Pottsville 23-13. 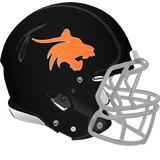 How they got here: It looked like another grim season for Latrobe after an 0-4 start, but the Wildcats got a bit win over Connellsville in Week 4 then won their last 3 games to earn their first playoff berth since 2009. Recent History: This is Latrobe’s first playoff appearance since 2009 and just their 6th since 2000. Best Playoff Result: Latrobe’s lone playoff victory came in the 1968 WPIAL AA (which became AAA) Championship over Kiski. How they got here: In their first year in 5A, the Indians rolled through the regular season, averaging 40.5 points per game and a margin of victory over 30 points. 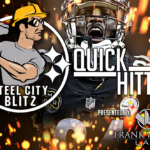 They are loaded with D1 talent with 2000-yard passer Hollis Mathis, 1000-yard rusher Tank Smith, and the best secondary in the entire WPIAL with Daequan Hardy, Dante Cephas, Cory Thomas, and Aakeem Snell. 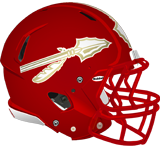 Recent History: Penn Hills is making their 5th playoff appearance in the last 6 years and their 19th in the last 21 years. The Indians reached the 6A semifinals last year, which marked their first playoff victory since 2009. Best Playoff Result: Won the WPIAL AAA Championship in 1976 and 1978. Tied Butler for the 1977 WPIAL AAA Championship (no overtime). Defeated Gateway in the 1979 WPIAL Championship Game, which was later vacated by the WPIAL because of an ineligible player. A federal judge overturned the WPIAL’s decision and restored the 1979 title to Penn Hills. Won the 1995 WPIAL AAAA Championship by defeating Upper St Clair 20-13. Defeated Lower Dauphin 35-14 to win the 1995 PIAA AAAA Championship. How they got here: The Fighting Planets moved up to 5A this year and showed they were capable of competing with their only loss coming to Penn Hills. RB Garrett Reinke led 5A in rushing with over 1700 yards. Recent History: Mars is making their 14th consecutive playoff appearance. After reaching the AAA semifinals in 2015, they have lost in the first round each of the last two seasons. Best Playoff Result: Reached the WPIAL AA Championship Game in 1996 and 2002. Lost 26-16 to Aliquippa in 1996 and 20-6 to Seton-La Salle in 2002. 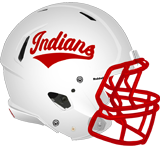 How they got here: The Indians got off to a hot start with “Touchdown” Tyler Brennan scoring 13 TDs through the first 3 games. However, Brennan was injured in a Week 4 victory and North Hills dropped their next 3 games without Brennan to Peters Twp, Gateway and Mars. Brennan returned in Week 7 and led the Indians to wins over Shaler and Armstrong before they fell to Penn Hills in the season finale. Recent History: North Hills missed the playoffs last year but have qualified in 6 of the last 7 years. They have not won a playoff game since 2010. Best Playoff Result: Won WPIAL Championship in 1982, 1987, and 1993. Tied for the WPIAL title in 1985 (no overtime). Won PIAA title in 1993. How they got here: This is one of the best stories in the entire WPIAL. 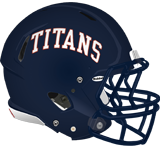 The Titans entered 2018 on a 24-game losing streak, which they snapped with a Week 0 win over New Castle. They got a 1-point win over Hampton and a 3-point win over Armstrong to put them in position to earn a playoff spot with a Week 9 win over Fox Chapel. Shaler dominated to the tune of 62-0 to reach the playoffs for the first time since 2011. 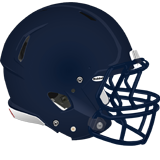 Recent History: This is Shaler’s first playoff appearance since 2011. In that time span they have had losing streaks of 34 games (2011-2015) and 24 games (2015-Week 0 2018). Shaler has not won a playoff game since 2000. Best Playoff Result: Shaler lost to Blairsville in the 1947 Class A (which became AA) Championship. How they got here: Armstrong bookended their season with back-to-back wins in Weeks 0 and 1 and Weeks 8 and 9. In between they went just 1-5. The Riverhawks last two wins came over Fox Chapel and Kiski which earned them a playoff berth. Recent History: This is Armstrong’s third playoff appearance in four seasons since the merger of Kittanning and Ford City. They lost in the first round in both of their prior two playoff trips. Best Playoff Result: Armstrong has yet to win a playoff game. Kittanning’s best result was a 13-0 loss in the 1975 AA Championship Game to Beth-Center. Ford City reached the semifinals in 2005, 2006 and 2010. How they got here: Kiski got off to a strong 3-1 start to the season, but faded down the stretch. The Cavaliers enter the playoffs on a 6-game losing streak. They earned the Wild Card over Baldwin based on Gardner Points. Recent History: Kiski reached the playoffs 3 times in a 4-year stretch between 2011 and 2015. The Cavaliers have not won a playoff game since a trip to the AAAA semifinals in 1990. Best Playoff Result: Defeated Thomas Jefferson 16-8 in the 1971 WPIAL AA (which became AAA) Championship. Lost in the WPIAL Championship Games in 1968, 1970, and 1986. How they got here: The Jaguars have set themselves up well in their quest to become the third team in WPIAL history to win 4 straight championships. 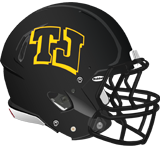 TJ has the best offense (50.1 points per game) and best defense (8.3 points allowed per game) in 4A plus they have a triumvirate of players over the 1000-yard mark. QB Shane Stump threw for over 1400 yards, RB Max Shaw ran for over 1200 yards, and WR Dan Deabner is the only player in 4A with over 1000 receiving yards. Recent History: Thomas Jefferson is making their 24th consecutive playoff appearance, tied with Aliquippa for the longest active streak. They have reached the semifinals in 19 of the last 20 years and are the three-time defending WPIAL Champions. They lost to Erie Cathedral Prep in the PIAA Quarterfinals each of the last three years. Best Playoff Result: Won WPIAL Championship in 1980, 2004, 2006, 2007, 2008, 2015, and 2016. Won PIAA Championship in 2004, 2007, and 2008. How they got here: The Leopards have the second-best offense (43 points per game) and defense (9 points against per game) in 4A. The question is if their running game can carry them far enough to make up for the loss of QB Jared Hartman to a torn ACL. 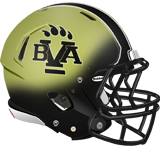 Recent History: Belle Vernon is making their 10th consecutive playoff appearance. Last year, Belle Vernon fell to Thomas Jefferson in the semifinals, but their quarterfinal victory was just their second playoff win since 2000. Best Playoff Result: Won WPIAL Championship in 1995, beating Franklin Regional 22-6. That year, they lost to Sharon in overtime in the PIAA semifinals. How they got here: After a 4-0 start to conference play, West Mifflin dropped games to Belle Vernon and Thomas Jefferson in the last three weeks to fall to third place. 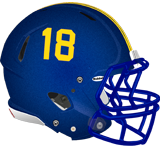 Recent History: West Mifflin is making their 9th consecutive playoff appearance. They reached Heinz Field in 2012 and made the semifinals in 2016. 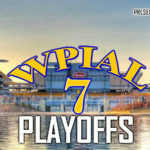 Best Playoff Result: West Mifflin North won the WPIAL Championship in 1963, beating Butler 12-6. 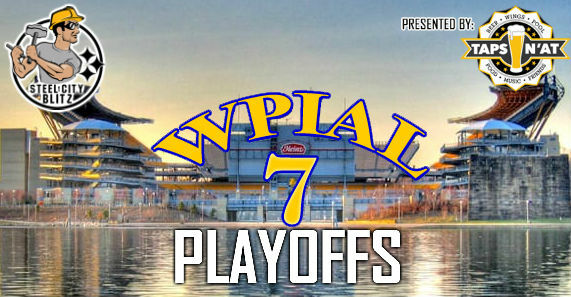 West Mifflin lost in WPIAL Championship Games in 2000, 2004, and 2012. How they got here: Defeated Indiana 17-0 in a Week 9 Casket Match to earn a playoff berth. Recent History: This is Greensburg Salem’s first playoff appearance since 2011. Their last playoff win came in 2000. Best Playoff Result: Reached the AAA semifinals in 1985. Greensburg High School was awarded the 1927 WPIAL Championship. How they got here: South Fayette lost to Upper St Clair by a point in Week 0, marking their first regular season loss since 2011. The Lions bounced back to breeze through their conference schedule and win their 7th straight conference title. 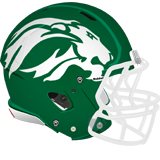 Recent History: South Fayette is making their 10th consecutive playoff appearance. 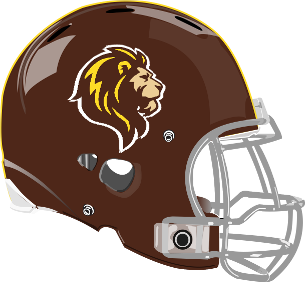 The Lions have been upset in the playoffs by conference opponents each of the last two years – by New Castle in 2016 and by Montour last year. Best Playoff Result: Won WPIAL Class A Championship in 1936. Awarded WPIAL Class A Championship based on Gardner Points in 1964 (no Championship Game played). Won WPIAL AA Championship in 2010, 2013 and 2014. Won PIAA Championship in 2013 and 2014. How they got here: Blackhawk defeated Beaver 14-13 in Week 9 to clinch second place and earn a home playoff game. 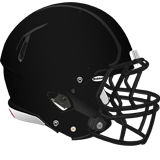 Recent History: Since reaching the WPIAL Championship Game in 2008, Blackhawk has made just one other playoff appearance (2012). Best Playoff Result: Blackhawk was the team of the 1990s reaching the WPIAL Championship Game 6 times and winning the WPIAL AAA Championship in 1991, 1992, 1993, and 1996. 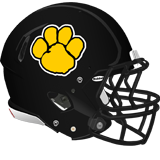 Lost in the PIAA AAA Championship Games in 1992 to Berwick, 1993 to Allentown Central Catholic, and 1996 to Berwick. How they got here: The Bobcats moved up from 3A this season and had a strong showing in 4A. They clinched a playoff spot with a Week 8 win over Montour then lost by a point to Blackhawk in Week 9 with a chance to earn a home playoff game. 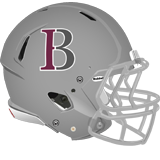 Recent History: Beaver is making their 11th playoff appearance in the last 12 seasons. They have only lost in the first round once in their last 5 postseason appearances and reached the semifinals in 2013 and 2017. Best Playoff Result: Beaver won the WPIAL AA Championship in 1972, the WPIAL AAA Championship in 1981, and the WPIAL AA Championship in 1982. How they got here: New Castle’s Week 1 win over Montour proved to be the decisive result that got them into the playoffs. New Castle, Montour, and Knoch finished in a 3-way tie for 4th place at 3-4 which New Castle won on Tiebreaker Points. 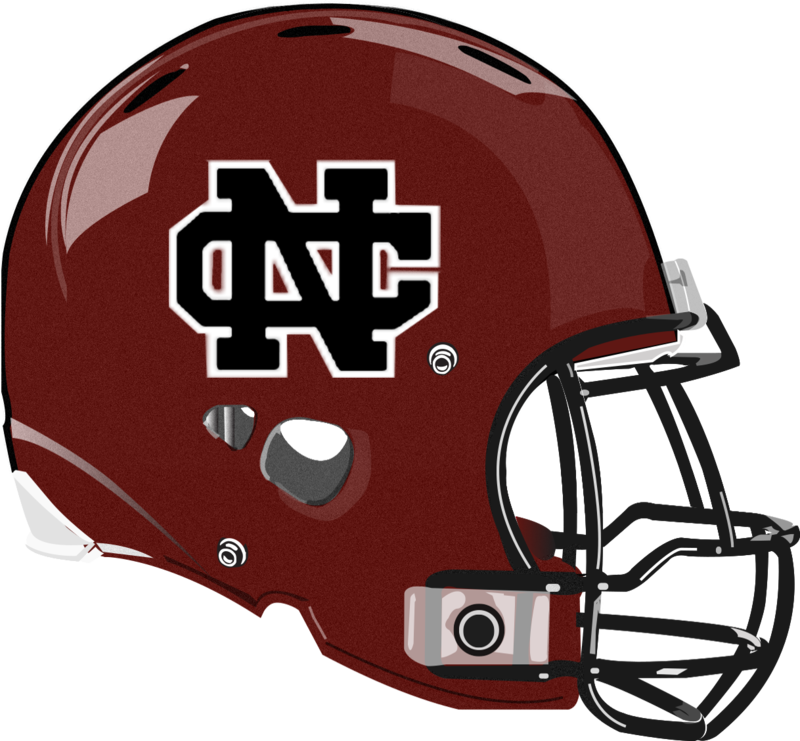 Recent History: New Castle is making their 6th consecutive playoff appearance. They reached the WPIAL Championship in 2016 where they fell to Thomas Jefferson. Last year they lost to Montour in the first round as the Spartans sprung a massive second-half comeback. Best Playoff Result: Beat Charleroi in 1924 AAA WPIAL Championship Game. Tied Jeannette and McKeesport for 1932 WPIAL AAA Championship (no Championship Game played). Awarded 1933 and 1934 WPIAL AAA Championship based on Gardner Points (no Championship Game played). Won WPIAL AAA Championship in 1942, 1948, 1949, 1967, and 1973. Tied Upper St Clair 0-0 for the 1975 WPIAL Championship (no overtime). Won 1998 WPIAL Quad-A Championship. Lost 56-7 to Central Bucks West in the 1998 PIAA Quad-A Championship Game.